Frederick Achom's Blog: Mini Cars or Vintage Cars? Mini Cars or Vintage Cars? 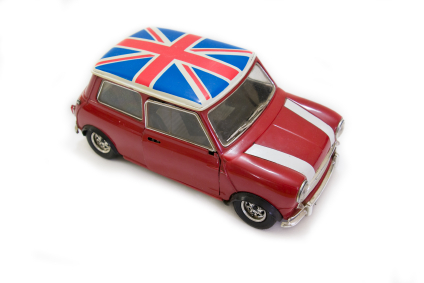 Back in 1959, the Mini car was the premiere automobile of British auto manufacturing. Similar to the German Volkwagon Beetle, this mini mobile saved space by having a small front for the driver and more than half the car space available for backseat passengers. While it’s great to have a giant SUV or a jeep these days, there’s something to be said for a Mini, which at the time of its inception was an advanced two-door vehicle because it was both a concept and a showpiece. Now the Mini is back in a modern way. The 2011 Geneva Motor Show released the Rocketman, a replica of the studly small car of the 60s. This Mini is light, has three doors, and is only 11 feet long. It’s expected to hit automobile showrooms in 2014. There’s the Mini Cooper, a 2013 model with front-wheel drive developed along with the BMW manufacturer. Finally, the Mini Coupe and the Mini Roadster are coming out in 2012, followed by the Countryman Coupe in 2013. The Countryman Coupe has all the makings of a Range Rover in a miniature form. England has come a long way since the first Minis back in the 50s and 60s. The Minis were advanced statement-making pieces of their time and the beauties of today will continue that trend throughout the rest of the decade. These Minis will put new meaning into the term vintage car. It's good to hear Mini Coupe and the Mini Roadster are coming in 2012 but the big problem for new luxury cars are car thieves. It's is more relaxing and comfortable for luxury car buyers if the automobile companies give auto transponder programming services as well. I love both but now ,Its really depends on price. Which had a good quality but not much expensive. I saw that Mini cars not much expensive than in a Vintage cars.I would like to chose Mini cars because Its really cute and suitable for all women. Minis are great on its unique design and concept. This minis are not for all but for a unique person that love to be simple but rock. i love mini coupe. I have always been fond for vintage cars and Mini Cooper I thin would be nice to bought on. this car I guess wouldn't be advisable for bigger family. but for personal cars? I think it would be cool to have this one. yes I love the comfort of driving mini car. I'm driving mini coooper since 3 years now. It's fab and cool. U should try it too. The Mini is my dream car. I have loved them since 1980 when I first saw them zipping around Europe. A classic, the Mini, is definitely a classic vehicle with many wonderful modern influences. The big problem with the Mini is choosing the Coupe or the Roadster; no matter which one you chose you get really BIG Little luxury. The Mini is truly an awesome vehile, yesterday, today and tomorrow. i like the mini car. it very good car. This article explains which cars are better. As to me, I prefer to mini car because of the traffic jam and environmental problem in the city. The mini cars suit the big city. It is a great idea that these small cars are coming to town for 2012. It is actually the right idea to answer to the raising prices of fuel. Other than that, parking is also a problem solved for these. I once had a ride to a mini couper.That is really a wonderful time roaming around the city.Even if i don't own it makes me feel so proud that i had once a ride on one of the luxury cars ever made. vintage cars stays expensive..i would go for old cars..